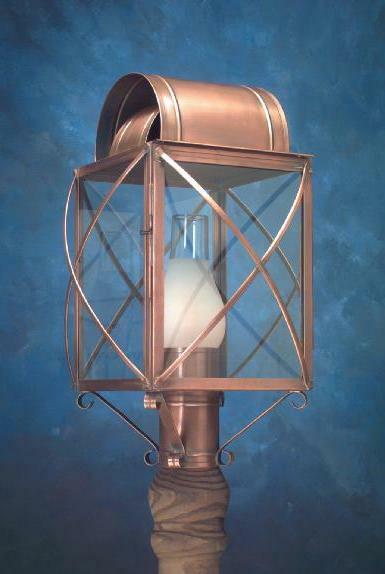 Hammerworks Culvert PC107 Colonial Cape Cod Post Lantern is completely handcrafted. Most importantly we use only solid copper or brass. Therefore by nature your Colonial Post Lanterns resist corrosion and will last for generations. 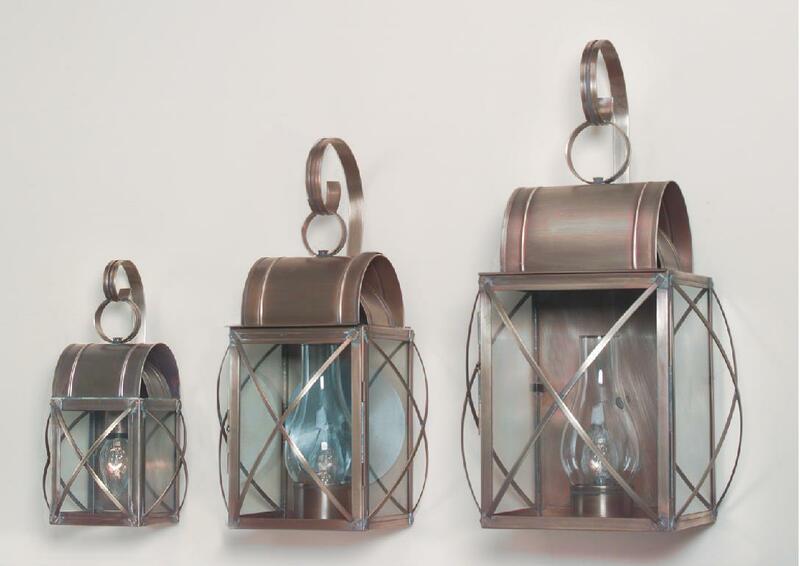 In addition pair your Cape Cod Copper Post Lanterns with any of our Colonial Style Light Poles. With its’ industry standard 3″ post collar you can match it with any Wooden Cedar or Aluminum Lantern Post. Especially relevant we make each post light meticulously with attention to detail and historical accuracy. This is a process recalling the days when early colonial craftsmen took pride in their work. We take pride knowing that each lantern we produce is a testament to our craftsmanship and will last for years to come. Whether you choose New England Style Colonial Post Lantern Large Coach P105 or Colonial Boston Post Lantern P103 consider several factors. First of all do not not to shy away from size. While your lantern may look large when you hold it in your hands it can appear undersized if not scaled properly. Therefore the take into account the distance from the post light to the building, as well as the building size. This will determine which size Colonial Post Lantern is appropriate. On a long driveway, multiple Colonial Copper Post Lanterns may be necessary, to achieve proper illumination and aesthetic value. 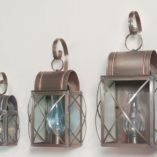 If you are looking for Colonial Wall Lanterns to go along with your new Cape Cod Post Lantern PC107, we’ve got just the right one for you! Outdoor Copper Wall Lanterns Culvert WC 106 along with the larger WC107 and smaller WC106A are all part of the “Culvert ” collection. 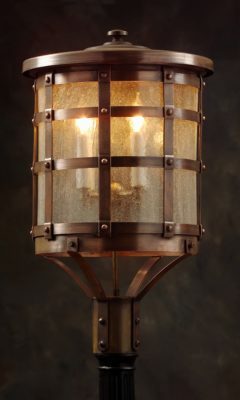 In addition we also make this rustic style lantern in a hanging version. Colonial Pendant Lighting Culvert HC106 is also available in 3 sizes for you to choose from. Therefore no matter what your lighting scheme calls for, we’ve got what you need at Hammerworks.